Mysterious folk act New Mystics unveil "Sparrows"
Not much is know about this mysterious new group, New Mystics but they seemingly are looking to transport listeners to a somewhat forgotten ..
MOGA festival is primed to kick off it's inaugural electronic music festival from October 14th thru the 16th. The event takes place all the way down ..
"Now I'm ready to listen". These are the words I uttered to my friends when the Doppler Labs Here Active Listening ear buds arrived on my doorstep. ..
EARMILK is excited to premiere the latest track from Kids Of The Apocalypse (KOTA) consisting of Stefan Storm, from acclaimed Swedish synthpop ..
Stephen Wilkinson, aka Bibio, is an English music producer that, over the years, has provided a diverse range of sonic palettes for listeners ..
Izzy Bizu unveils hauntingly beautiful video for "Mad Behaviour"
Every and now then there are singers that emerge that immediately give you goosebumps, within 10 seconds, yet Izzy Bizu is just such an artist .. This is your Daily 2% – Chilled and Ready to Serve. We will try to bring you one “chill” track every day. This is for when you get home ..
Rome Fortune is sayin stuff in new single "Blicka Blicka"
Rome Fortune is on the heels of releasing his upcoming album, Jerome Raheem, this Friday via Fool's Gold. But just to hold us over, he has just .. 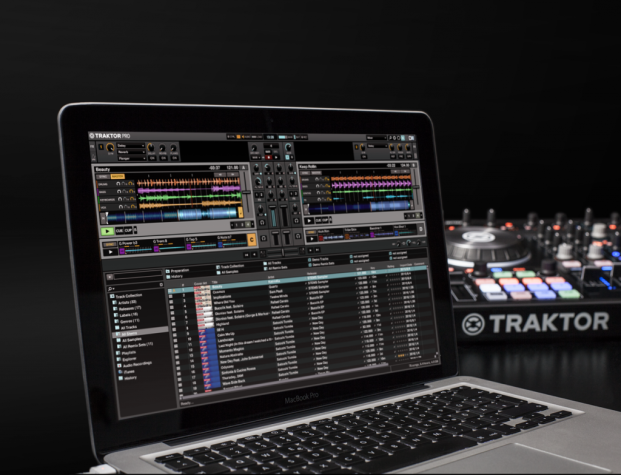 Native Instruments has announced that they have released TRAKTOR PRO 2.10.1. This major update gives the new Stems format the ability to be utilized ..